When the elderly Remington sisters (played by Danielle Daven and Anne-Marie Fox) invite their relatives to a dinner party celebrating the siblings’ upcoming 92nd birthday, they leave one name off the list: their devil-worshipping nephew, Christopher. 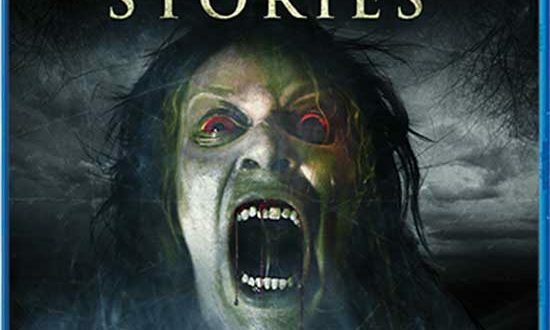 But the family Satanist sends a surprise gift from hell that turns the grannies into rapacious ghouls who can’t wait to sink their dentures into human flesh. Not for the queasy. Never heard of “Rabid Grannies”….shame on you! 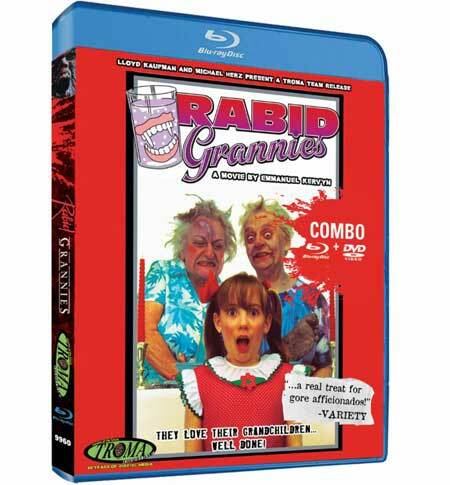 – “Rabid Grannies” is a 1988 Belgium horror film distributed by Troma Films under their new “Troma Retro” moniker. 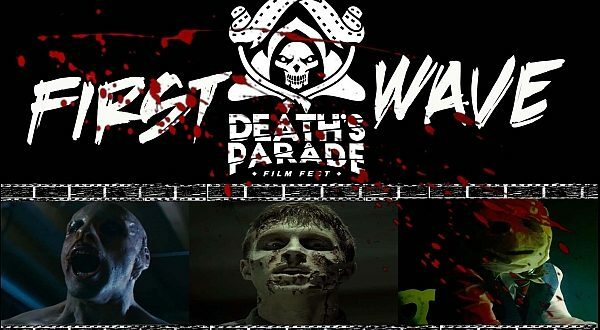 In fact its a perfect marriage to the Troma line-up of films. I remember this one vaguely in the eighties but confess to never getting around to viewing it. Recently repackaged it’s probably due to its earlier cheesy cover that kept this one off the radar in some aspects but the fact is, it’s a pretty decent 80’s film and is alot of fun. The title is deceiving a bit as the grannies are more demon possessed than “actual” rabies infected, however with the flux of titles back then sporting a demon titles it probably was best to help it stand out among the others. 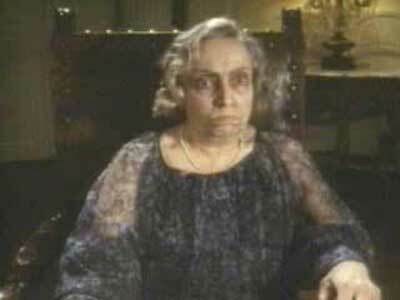 Upon viewing I found it to be similar feeling as some of the Argento “Demons” films. 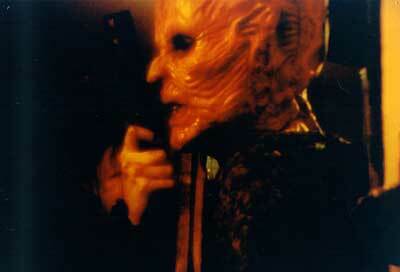 The comparison comes into e sense of practical effects demons that are both creepy and amusing at the same time. 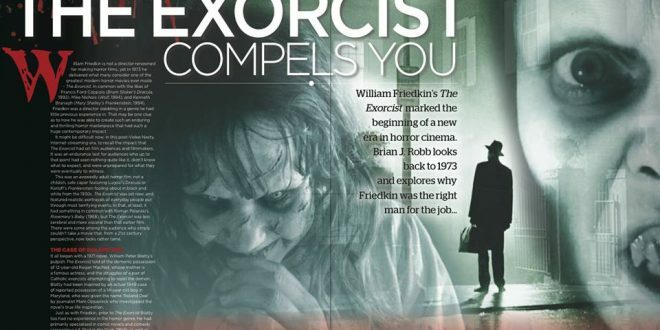 Basically…… over the top laid on thick makeup jobs enhanced with whacked out visuals and demonic personalities. 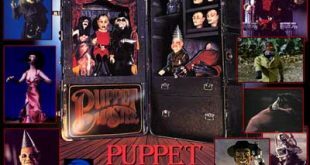 A few of the scenes from this film are often seen in compilation overviews of 80s horror genre compilations. 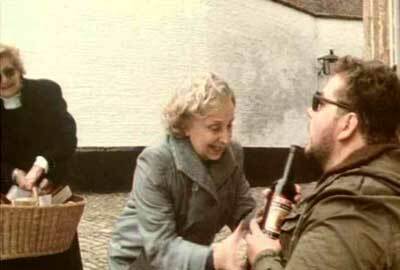 Directed by Emmanuel Kervyn, Rabid Grannies comes pretty thick with Belgian accents and a British feeling film style. There were quite a few lines that I probably would have benefited from turning on the subtitles to understand better. Though the premise runs pretty straight forward. A large family get-together is called on to celebrate the 2 grandmother’s birthdays. Being that the family members want to keep things good with grandma and her , they all set out to attend. The characters in the film come across as mostly snide, snobby, gold diggers who set their interest more on wealth than anything else. They bicker, insult and make the best of what relationships they have. One of the guests who doesn’t show is a black sheep nephew with a history of devil worshipping. Though in his a place, a gift and an apology letter shows up. The gift which is a rather ornate but bland looking wooden box unleashes a mist that turns the grannies into flesh hungry sadistic killing machines complete with long razor sharp nails and a transformation into bald grotesque monsters. 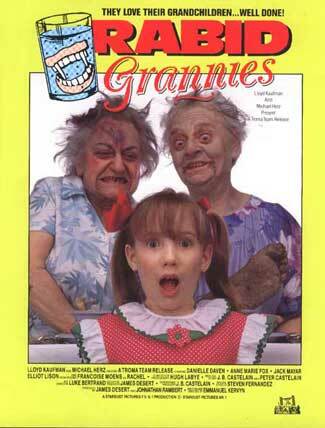 The grannies lighten the load of gore by cracking jokes along the way and tormenting their victims. 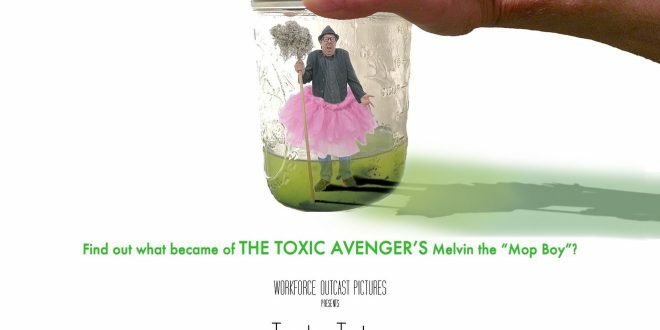 Portions of the film tends to drag as the occupants take cover, but the highlights come in the battles against grandma. Also scenes such as the dinner table attacks are pretty amusing as a demon hand emerges that leaps across the table to drag one of the family members into a elongated granny mouth. 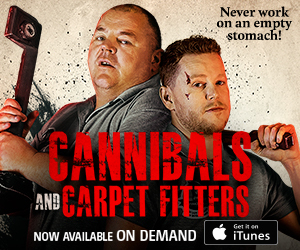 Originally called “Les mémés cannibals ” this film was spoken in French and later overdubbed in English per Troma films. In a time when demon films were all the rage, it was films like these that helped to keep a level of humor alive and not always so religiously harrowing. 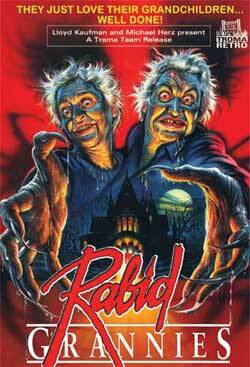 Rabid Grannies, is more or less a cult film of sorts now and worth a viewing if you haven’t seen it. Fans of this era will highly enjoy it and will also enjoy the filmmakers approach of not taking it too serious. 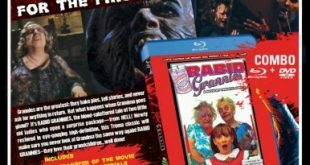 Troma Classic Rabid Grannies First Time Bluray! 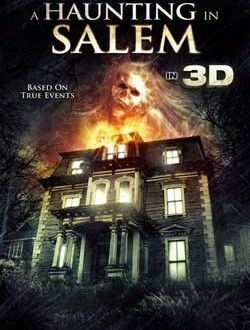 This so called bluray release is a fraud, don’t waste your money on it. Its simply a VHS master transferred to a bluray disc, there’s nothing HD about it. If Kaufman had any integrity he would give refunds to people that were unfortunate enough to buy this release.